Simple one time $597 fee, no per-month charges, no extra costs, no nickel-and-diming or download fees. if you can craft a powerful USP that hits a home run in the mind of your client's and or customers, you’ve found the one thing that can bring them out of obscurity into the spotlight of fame. A properly crafted and executed USP Is Pure Marketing Gold and USP Magic is going to show you how to get it. I've teamed up with Richard Johnson, the best in the business and the originator of the HMA Marketing Consulting System. A million dollar USP will not make the cash register ring, but it will make that sucker sing. Without a doubt, it is one of the core marketing vehicles through which great financial fortunes are made. It's the number one most important thing before you do anything else with your marketing. You have to sit down and figure out what in the world you stand for. Because if you can’t differentiate yourself, if you don’t have a reason you're different, then you can't get your sales scripting, you can't get your copywriting, you can't go to your media, cross promoting, community marketing – because nobody knows why you’re different. So, the very first thing you do is you say, “What does my business stand for?” And, that’s your USP, and that’s the basis around the first two steps of the HMA Marketing Consulting System. If you get that defined first, you're on your way to exponential growth for your business without spending any more money on advertising. Together we're going to show you how to craft a powerful USP for your business that can do all these things and take your financial fortunes to the highest possible levels. It does not matter if you're selling marketing services, copywriting, web page design, SEO, key word optimization, or financial planning . Even if you have no selling, coaching, marketing or business experience, this information will fast track and make you different from you competitors. It's all here in your UPS Magic System below. Below is the core training of USP Magic plus your bonus resources. Each lesson is offered as a mp3 audio download and play audio button. You can take the lessons with you on the go. Download or play from your smart phone, home computer, lap top or mp3 player. Each lesson comes with the word for word printable PDF transcripts. Now you'll have all the tools and training you need to create your million dollar USP. Look at what you get for only $597. For the full description of each interview and bonuses click here. Bonus #1 - How To Discover Your Most Valuable Marketing Asset - Getting Started. Bonus Report #3 - How To Propel Your Business Sales And Profits 20%-100% Or More In As Little As 60-90 Days Guaranteed. A well crafted USP is your ultimate secret weapon when it come to marketing your business, product or service. Download all five (5) modals of USP Magic, your three bonus reports and the magic USP finder questionnaire. If you're a marketing coach, copywriter, web site developer or consultant, use these reports to discover your client's USP. Gain a understanding about the most underrated step of business growth know to marketing. Each module is designed to give you the tools you need to get money coming in fast, even if you have no marketing experience. USP Magic is the most in depth training on the USP all in one place. And now it's yours for only $597 without any ongoing payments. Grab your copy of USP Magic today. Your USP Magic download instructions will be sent instantly after your order is placed. What is lean marketing? No one walks through the door at Wal-Mart or Fed-Ex and wonders why they’re there. That’s the beauty of a USP. It’s all right there, on the table, spelled out. Salespeople know what they’re selling and they’re excited to do it. Customers are clear on what they’re getting and are more responsive to sales presentations. The company is no longer trying to compete on price or trying to be all things to all people. It’s called lean marketing. And it’s how small businesses stand apart and grow in this economy. In this audio you’ll hear the creator of the HMA System explain how USPs work to take the fat out of the sales process by targeting better prospects, attracting more alliances, increasing conversion rates, and improving lifetime customer value. It’s a process that gets integrated into everything from phone scripts to websites. In the book Richard outlined the power USPs have for creating exponential growth. And in the follow-up product to that book, he shows you exactly how to make (and integrate) those kinds of powerful USPs. • The biggest mistake companies usually make with their sales force – and how something as simple as a USP can help to counteract that. • Why Richard calls USPs the fastest source of new cash flow a company could have – and how to use them to qualify, convert, and sell more. • The best way to work with business owners throughout the USP phase so you’re transforming their mindset away from traditional “let’s spend even more money on advertising” techniques to the kind of asset-minded lean-marketing that actually works . • An insider’s look at the typical company Richard creates USPs for – the sad way they normally keep in contact with their past customers, the usual way they try to get prospects through the door – and how Richard uses his USPs to cut through all that and show them the money… fast. • How the first two steps – creating and integrating the USP can free up money for a business in as little as 60 days (so owners have plenty of cash flow to pay you for the rest of the HMA steps). Let’s face it. This is still a tough economy. But small businesses can’t keep blaming Wal-Mart if they fail, especially when they really only need to do two things to succeed – stand apart from the competition and stop competing on price already. That’s where you and the USP come in. USPs are the fastest known way to increase profits because they streamline the whole sales process. They form the base of lean marketing. And in this audio, you’ll hear how powerful that is. In order to create a powerful USP, you have to know what one looks like first. You might even need to change the way you think about marketing because Unique Selling Propositions have nothing to do with advertising. They’re not branding or finding a slogan either. They involve uncovering the hidden assets a business has in order to highlight what makes them different from their competition. That’s why the creator of the HMA System says the two most important steps in marketing are the creation and integration of the USP. In fact, in his 20 years of creating USPs, Richard says it’s not unusual to see those two steps alone work to turn a business around in as little as 60 days. So in Module One, Richard breaks down the elements of a powerful USP using the HMA System as an example to show the methods behind the magic. * Dissecting the USP into its main parts, along with a quick look at more than 8 possible marketing assets a business could have to give you an idea of where the hidden ones are usually found. * Why it’s so important for a USP to be specific (think “LensCrafters: glasses in about an hour” instead of “LensCrafters: glasses fast”) and 3 other things every successful USP has in common. * The real problem with the traditional “money-throwing” approach to marketing, why so many business owners think they need it, and how to guide them over to the kind of asset-minded marketing that actually works… without any money-throwing parts. * Why everyone (yes, even the Average Joe) needs a USP nowadays – to get hired, to get ahead, to fight for a raise, etc… why that is and how they can use them. * Exploding the myth most business owners believe in that customers buy because they are so great… or because of how many degrees they have or where they graduated (and the only thing customers do care about). * A “real-life” story of how Richard used a business owner’s mistaken belief that customers cared about his PhD to uncover how his degree actually was a hidden asset, and the USP Richard came up with that brought up sales 100%. USPs are especially important in this day and age when businesses have to stand out. It’s a harsh reality, but consumers just aren’t spending like they used to, so there’s not a lot of extra dollars being thrown into the economy. The only surefire way a business can grow anymore is by taking dollars away from their competition. And in Module One, you’ll hear exactly how USPs work to do that. - 26-minute audio with 24-page transcript. Many small businesses try to compete on price then blame Wal-Mart when they fail. As “the low-price leader,” Wal-Mart pretty much owns the market on bargain hunting, but that doesn’t mean you can’t compete. It just means you should probably stop trying to compete on price. When creating a USP, your main job is to change the demand away from price by taking a hard look at the marketing assets a business has so you can uncover a different reason customers should buy. And in Module Two, you’ll hear the many ways that can be done. Richard says over the last 20 years of creating USPs, 9 out of 10 of the businesses he’s worked with were failing because they were trying to compete on price. So changing focus and demand away from that area is one of the most important things you can do. Here’s how. * More than 10 examples of businesses that stopped selling on price, how they became huge because of that bold move, and a look at how their USPs worked to get them there. * A quick story about a grain-bin commodity client Richard had that was competing on price – and the dissection process that led them to realize he didn’t need to do that, along with the USP Richard came up with (and the 80% increase in profits that followed). * The 7 core elements a USP must have in order to sway demand away from price. * The power of USPs that create “innovative demand” (changing the way people think about, and buy in, an industry) – a look at a few businesses that successfully did that, and how. * The surprise asset Richard uncovered for a contractor who was struggling in one of the most saturated markets out there, how he changed focus off of price and onto performance, and the amazing results he got from that one USP alone. If everything seems the same, we’ll buy on price… unless, of course, something else pulls us in a different direction. That something else should be your USP. It’s little wonder why so many small businesses go under nowadays when they continually try to compete on price, throw more and more money into advertising and slashing prices to do it, then blame the big box stores when that formula fails. There is a way that works, but it usually starts by giving up that unnecessary price war. And in Module 2, you’ll hear how to change demand away from it. Do not believe what a business owner tells you the USP is. He might be right, but if you don’t take the time to do thorough research, the costs could be traumatic. Richard starts his research off with an opportunity analysis where he looks over, under, and in between the business’s assets to find where the money is and where the USP begins. He calls customers, prospects, past customers. He interviews staff members and watches all the presentations of the top salespeople. And then… he checks out the competition because if his USP isn’t unique, then it’s not a USP. And in Module Three, you’ll hear how he does it all, and how he does it all fast. He says it pretty much comes down to asking the right questions because you don’t want your research to come back with, “Oh yeah, customers like your products.” That’s not a USP. But in this audio, you’ll hear how to ask those right questions so you can uncover all the things you need to put the USP puzzle together. * The steps, in order, that will simplify your research phase while making sure your USP is backed by the most thorough research possible. * An effective (okay, maybe even sneaky) trick for making the kind of USPs that appeal directly to prospects and customers… because they use the keywords that mean the most to that audience. * Why it’s so important for everyone to be excited and onboard about a USP – including having a website that shows that same excitement, and how to do it. * Guiding principles and questions to ask yourself throughout the research phase that will help you know if one of the benefits you’re uncovering will work as the USP. * Key strategies for researching the competition as a dummy buyer – so you can know for sure no one else has your USP. Surprising benefits of the research phase -- believe it or not, it’s going to save you a ton of time later on. * A little story about how Richard found a million dollars in profits for one company – by turning what everyone else saw as a detriment into an opportunity. Richard says the most important thing to remember is that you’re not dead if you get the USP wrong. In fact, the only way to know if a USP is working is to test it, so don’t be afraid of what that testing might come back with. Listen to the marketplace – be open-minded and willing to go back to the drawing board if necessary. And in this audio, you’ll hear all the steps you need to create a powerful USP the first time out. There’s nothing more fulfilling for a business owner than when you nail the USP. Their business is their passion, and the USP reminds them why they get up every morning and work their butts off all day. Having that USP will give them focus, and after the integration phase, they’ll also have the thrill of watching their business grow exponentially. Here’s how that growth works. All traditional marketing revolves around a business growing in just one way – the attempt to get more prospects. And businesses usually throw a ton of money into that one way too… running ads, building or improving websites, throwing together social media campaigns and pay-per-clicks. The HMA System allows for growth in three ways – attracting better prospects, converting more of them, and getting them to repeat their business. That’s why creating and integrating the USP are the first two steps. It allows you to maximize every lead. And in this audio, you’ll hear how that works. * The 7 main areas of integration – every area counts from phone scripts to sales presentations, and how to do it. * Key strategies for working with different levels of clients: some clients just need a coach, some will need you to execute this phase for them – here’s what you can expect along the way. * The 3 benefits you should know about USP integration. * A week-by-week breakdown of the time frame for developing a USP – follow this and you can expect to be integrating by Month Two. * How to contact Richard for help if you get stuck (yes, he’s actually available). Richard has been doing this for more than 20 years, so he’s seen USPs transform businesses in as little as 60 days time and time again. He says it works because the steps of the HMA System allow business owners to essentially “create their own economy.” In other words, they no longer have to sit around and hope consumers will spend more – they’ll be taking away business (and market share) from their competitors. And in this audio, you’ll hear how. - 19-minute audio, 18-page transcript. The first and most important thing you must do before is to study this USP Finder. It's a worksheet that you can complete or hand out to a potential client that will almost automatically find USPs. The USP Analysis Worksheet is designed to uncover potential USP ideas. This is an incredible magic tool that get your prospects to open up in ways that you never thought were possible. With your order, you'll be able to download this tool and use it with your potential clients or on your own business. These are the questions that you need to get the USP. Bonus #1- How To Discover Your Most Valuable Marketing Asset - Getting Started. Sometimes, explaining what a USP is, can be hard to do. Many clients are so desperate to get sales and income coming in fast that they don't take the time to understand how a USP can make all the difference. Use this report to educate your potential clients the value of the USP. * A critical examination - does my business stand apart? * How your company can grow sales out of thin air. * The true definition of a USP. * The untold reason why most companies don’t have a USP. * How to discover what your company marketing assets are. * How to identity the most important component of a winning USP. * Why your USP should be first out of all marketing efforts. * How you can claim a complimentary USP consultation for your business. If you're developing a USP for either you or for your client, you'll soon realize that the USP must be tackles head on BEFORE you do any other marketing. And only until you "GET" the importance of the USP, will this become completely obvious. Your UPS is the key to unlocking the money and sales safe. Once firmly in place and integrated into all other marketing steps will you see the unleashing power of these three letters U. S. P.
* Why you want to finish your marketing with these two steps. * Breakthrough solutions to grow your business three ways instead of one. * How your business can grow EXPONENTIALLY. * How to use database marketing with your new USP. * How to take the sting out of alliance and partnership marketing. * A simple - even illogical -- reason why the steps of a marketing system matter. * Quick review of a four step marketing system that works for any business. * The real reason why you don’t want to do any other marketing without these four steps in place! Bonus Report #3 The Top Two Marketing Steps That Can Propel Your Business Sales And Profits 20%-100% Or More In As Little As 60-90 Days Guaranteed. The USP is the number one most important thing you need to do before anything else with your marketing. You have to sit down and figure out what in the world you stand for. In this report you'll hear . . .
* Shocking confessions WHY 99.9% of all companies don’t have a USP. * The honest, no "bull crap" definition of a USP. * The demystifying way to innovate demand for a USP. * Examples of the HMA Marketing Consulting System's USP. * Clear and straight-forward advice why all departments must be sold on your USP. * How a USP increases conversion rate. * Why a USP works on-line and off-line. * Cheap tricks- what do you do with unconverted prospects. A well crafted USP is your ultimate secret weapon when it come to marketing your business. Download all five (5) modals of your USP Magic, your three bonus reports and the magic USP Finder questionnaire. USP Magic is my most in depth training on the USP all in one place. Since 1990, Richard Johnson has been helping small business owners succeed in all industries, exponentially increasing sales and profits. Utilizing his unique expertise, he works with clients to leverage their current business marketing assets both online and offline, so they don’t spend more money on traditional marketing and sales strategies. He works with clients and their teams to not only create marketing and sales systems but execute on them for guaranteed performance. 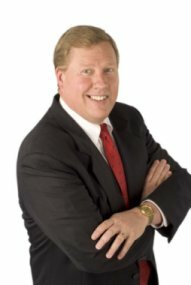 As the CEO of 21st Century Marketing Systems, Inc., Richard has built an excellent reputation helping business owners transform from traditional based marketing thinkers to asset based marketing thinkers. He created and developed the HMA Marketing Consulting System, used by some of the Manufacturing Extension Partnership centers, part of the U.S. Commerce Department. * Increase sales and profits exponentially (20-100% or more), in as little as 60 – 90 days. Since 1994 Richard has trained and certified hundreds of marketing consultants and coaches worldwide including the US, Canada and nine other European Countries. These consultants help business owners in their local areas implement The HMA Marketing Consulting System. Disclaimer: Every effort has been made to accurately represent USP Magic and our products, recordings and their potential. Any claims made of actual earnings or examples of actual results can be verified upon request. The testimonials and examples used are exceptional results, don't apply to the average purchaser and are not intended to represent or guarantee that anyone will achieve the same or similar results. Audio Interviews may contain affiliate links and JS&M Sales & Marketing Inc. may receive commissions associated with any purchases you make on subsequent websites. Therefore, please do not rely solely on endorsements, descriptions, audio interviews contained in this web site or associated sister sites as your sole source of information in evaluating whether to make a purchase on these sites. You should always exercise due diligence before purchasing from any site online. Each individual's success depends on his or her background, dedication, desire and motivation. As with any business endeavor, there is an inherent risk of loss of capital and there is no guarantee that you will earn any money using any of the ideas and products sold herein. JS&M Sales and Marketing Inc. Contact Us or Call or Text 858-692-9461.